We used our SilverGlo insulated panels and CleanSpace liner to transform the dirt crawlspace into more usable space for this homeowner. After deciding it was time to waterproof and finish their basement, homeowners in Savage, MN contacted Innovative. The team installed WaterGuard around the perimeter of the basement along with a TripleSafe sump pump. Then the team installed Basement to Beautiful Wall Panels. 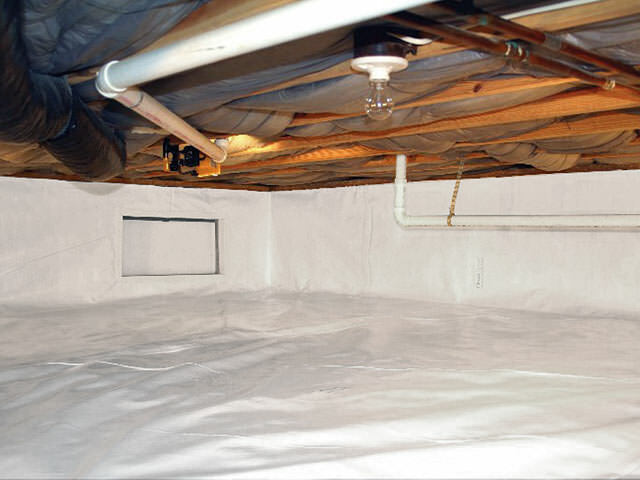 Homeowners called Innovative Basement Systems after their dirt floor crawl space was taking up valuable storage space. A crew came out and installed Closed Cell Spray Foam, Drainage Matting, TerraBlock, and CleanSpace. Had a wet spot show up In middle of concrete floor in basement. No apparent leaky overhead pipes or condensation. Thinking it may be leaky pipe within concrete floor. No issues previously in last twenty years. Musty smell in finished basement. Can't figure out what is causing it. Throat gets dry and headaches when down there. Concrete driveway - Broken up, lifting, sinking, washed out area underneath concrete in front of 3rd stall garage. Looking for a bid to repair a garage wall foundation that is bowed and settled. We have an unfinished dirt floor crawl space and would like an estimate on getting it sealed up. We have young kids and are concerned about vapors and gases coming from there. Thanks, Ryan. Both the sales reps and installation crew were knowledgeable, respectful and personable. A pleasure to work with them. And, we love our new basement! Great Job!! Wall straightening is working!! Emmit and team arrived on time and were professional. Got the job done in about 3.5 hours. I like the fact that the product (CarbonArmour) has a transferable warranty and for 25 years. Eric & Casey were very easy to work with. I even helped them out some and they resolved a couple issues with good input. Everything went great! Thank you! Great job! Feels good to have the basement stabilized. Thx so much! Everyone was on time. They called and informed us when they would be here. They explained what they were going to do. They didn't leave any mess. The completed job was done better than we expected. The workers were quick, clean and professional. They did an excellent job. Emmit was excellent and the other workers also! We felt very good about Emmit's work! Excellent! Thank you! We were very impressed with the level of professionalism & personable nature of all staff ad clean up. Very professional & sound company - both in products and employees. I am "wowed." Happy! No more trip hazard! Good,good people! The product is doing it's job, no standing water. Great Job. Everything was completed exactly as planned. Looks good! Dan Widenstrom was the crew foreman. Everyone involved was nice to work with. I would like to know what kind of guarantee I get with the BrightWall panels. I want to be able to tell future buyers of the home something. May have a couple adjustments to the install but only time will tell. Quality of install was good. Emmit Petersen did a great job on install. When you have a perimeter drainage system installed in your home, (like WaterGuard) your sump pump is your main line of defense against a basement flood. After seeing our ad in Dollars & Sense magazine, homeowners in Savage, MN reached out to the TEAM at Innovative for assistance with solving his basemet water problems. 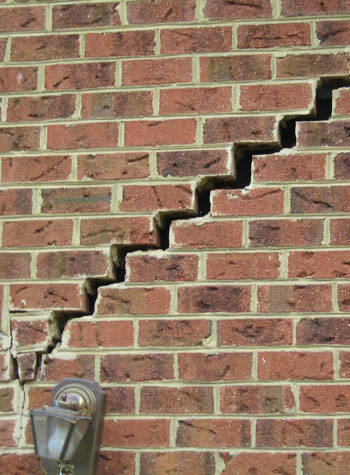 In preparation for selling the home, the homeowner had opened up a portion of one wall as well as a stair trend and indeed saw evidence of minor water damage. System design specialist, Larry Donnelly, visited the home and suggested a WaterGuarddrainage system (Our most popular drainage system, WaterGuard is the ideal solution for most basement waterproofing applications. Unlike old-fashioned drain tile systems installed on the outside of the home, WaterGuard® is installed just underneath the perimeter edge of the basement floor.) as well as a TripleSafe sump pump. Since installation has been complete, there have been no more water problems and the homeowner can be comfortable putting his home on the market. Homeowners in Savage, MN knew they wanted to finish their basement but also knew they had to waterproof beforehand. After sharing the vision of a new basement with Innovative, the TEAM crafted up a plan to waterproof and finish the basement. To waterproof the area, the TEAM installed a WaterGuard drainage system along the perimeter of the basement along with a TripleSafe sump pump. Then, to make the space a finished off area, Basement to Beautiful Wall Panels were installed.